So is it possible to do a mattress store with no retail salesperson? I know that it has already been tried but I am unaware of anyone doing that successfully today. After thinking about this for a while I thought I would share some of my thoughts on how somebody could actually pull that off. The mattress product assortment has to be really narrow. Maybe even all one price in three different firmnesses, and let Goldilocks find that “just right” feel for herself. If you try to expand past that you will just cause confusion therefore indecision. As for your pillows, protectors, and other items follow the same path. The downside for some of those sleep essentials will be shrinkage. If you have samples of pillows that they can use from bed to bed a dishonest customer could end up walking out with them. 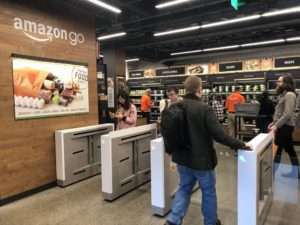 You could, however, put some cameras in the store like Wal-Mart does these days showing that they are being recorded; maybe that will stop the bad guys. Sheets would be easy enough, just provide a hand sample so they can pick their favorite quality and feel. You have to nail the fulfillment side that’s for sure. If you have your products on Amazon, that would be easy enough. Just follow the Tuft and Needle formula and run it all through your Amazon platform and they will process the order, bill your customer, warehouse it all and deliver it for you no problem. Tell me about this product; what does it do and what proof can you provide me with? What makes it better than others at similar price points? FAQ’s to include return policies, delivery details etc. Other keys to success? Either a digital or traditional brand could mean a lot here. If you carry something that a consumer is familiar with it will help build some trust for the consumer if they aren’t totally comfortable buying in this type of store. Make it a cool space. Pipe in some great music, fun graphics and calming smells to establish some texture in the store. If you deliver a simple to navigate, hassle-free shopping experience you will be rewarded. What do you think, could this work? Likely not for the master suite purchase for most, but it would be great for a slice of the buying public. Maybe this concept is working and I just don’t know about it, if so tell me about it in the comments section. Could be a great pop-up store model for inside a mall. Usually, there is always a small shop available these days at most malls at a greatly reduced rate. Mall security is also a plus.